Home ♃ Recent Stories ☄ The problems of power for William A. Bell, Sr. The problems of power for William A. 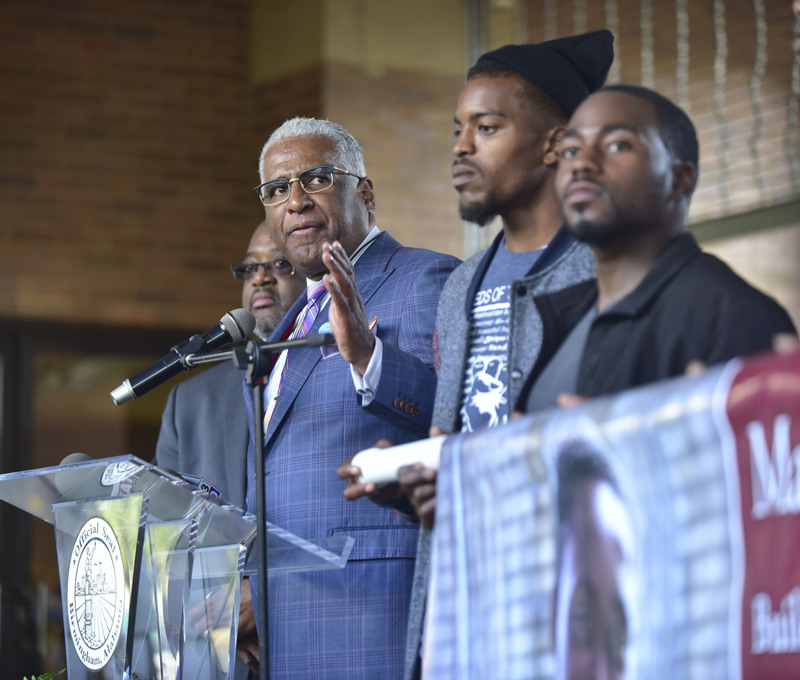 Bell, Sr.
Mayor William Bell is hobbled. 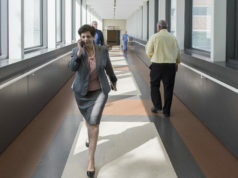 Birmingham’s top elected official is walking with a noticeable limp, the result of an aching knee. He has just finished an early-morning speech at a Birmingham Fire and Rescue Service graduation and promotion ceremony, where he spoke about the challenges of tough jobs. The mayor shook hands with each graduate. Afterward, he headed in search of a brace for his knee and then back to City Hall. If firemen have one of the most difficult jobs in the city—and they do—then the mayor can definitely relate. Not only does the 66-year-old have to handle the responsibilities of being the mayor of Alabama’s largest city and tend to the pain in his knee, but he also has to endure the myriad problems of politics. Bell, who some say is already laying the groundwork for another term in 2017, was able to convince state lawmakers that he needed more authority to move the city forward, while an equal number of people felt he was making a power grab that would take the city backward. 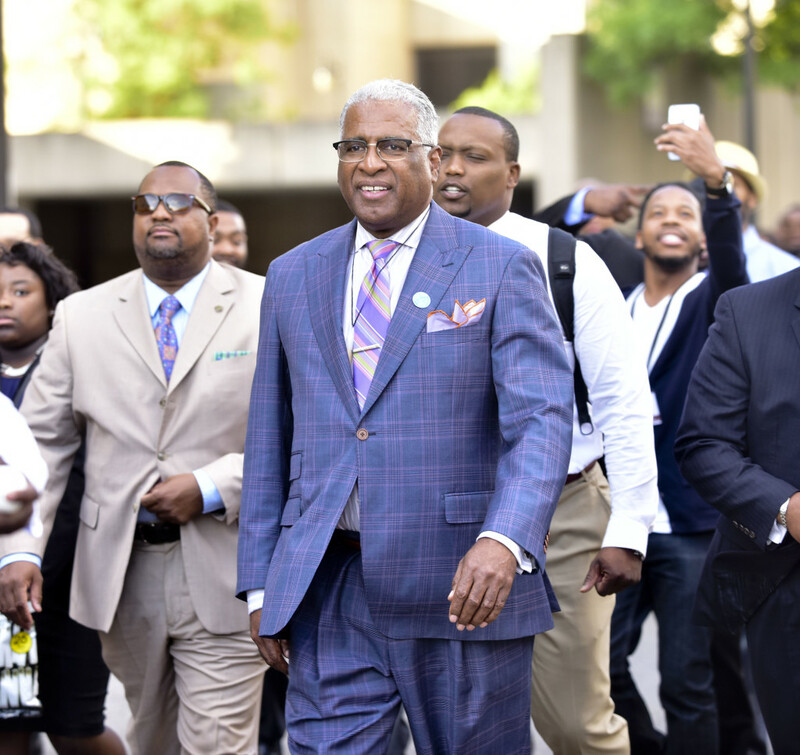 The Alabama legislature this month amended the Mayor-Council Act, which arguably makes him—intended or not—the most powerful mayor in the history of Birmingham. This is a mayor who has helped generate more than a billion of dollars in capital investment for the region but has still struggled to demolish abandoned homes in neighborhoods, a mayor who has traveled the globe but gets criticized for not attending neighborhood meetings 20 minutes from City Hall. Bell is as revered as he is despised. This next year may be one of the mayor’s most challenging politically—some are already raising money to make sure he doesn’t serve another term—as he begins to govern with newfound legislative power and with a majority of council members who say he refuses to communicate. To spend a day with Bell means every second is accounted for. There is no down time, no breaks. Some days, there is no breakfast, lunch, or dinner. Other days, there are breakfast, lunch, and dinner speeches—all in the same day. It depends. Bell begins this particular early-April day with the firemen’s graduation at Birmingham Southern College. He makes a quick stop to get a brace for his nagging knee. 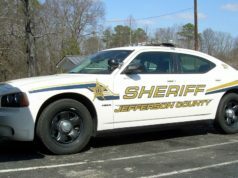 Then he heads back to City Hall in a black Chevrolet Suburban with his security detail, all sworn Birmingham police officers. The mayor’s day is mapped out by a retinue of schedulers, security and administrative staff, all of whom know his whereabouts to the second. Today, he has agreed to sit down for a series of interviews on topics ranging from his fights—physical and political—with Birmingham City Council members, to the perception that he neglects the neighborhoods in favor of downtown Birmingham, to the inflammatory racial rhetoric now echoing throughout the city, to the loss of his mother earlier this year. Before Bell heads to one of three private meetings, he responds to questions about growth in the city. 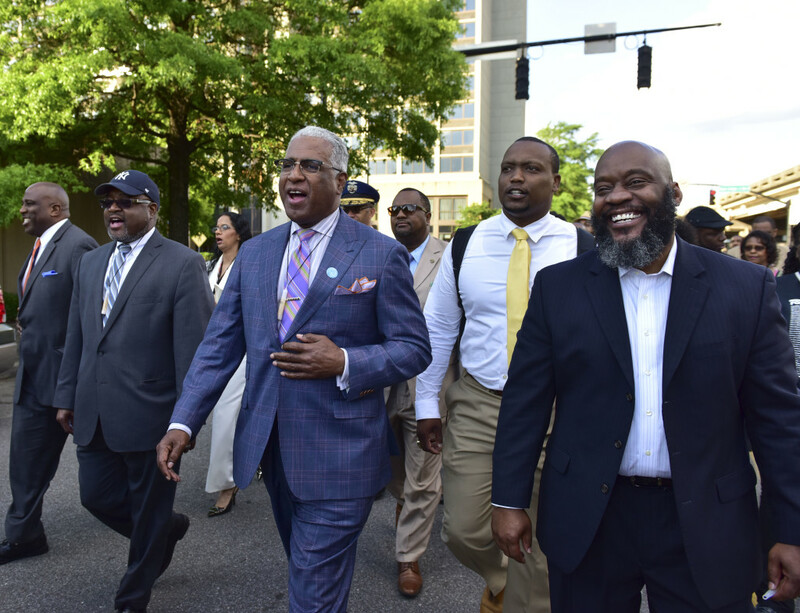 The rebirth of Birmingham’s City Center has helped generate more than $1 billion in capital investment over the past year, according to local business figures. Some neighborhood leaders are not happy, though. Danny Robinson, president of the Hooper City Neighborhood Association, said Bell has done a terrible job when it comes to neighborhoods. Robinson said grass and vacant lots are cut only once a year in his community, and he feels the mayor makes promises he does not keep. Bell said he hears that constantly. Here at City Hall, the mayor holds most of his private meetings in a small conference room just outside of his third-floor office. In his first closed-door meeting of the morning, he listens intently to his visitors. He takes no notes—an aide with a laptop does that—and he allows his guests time to make their case for the city’s help on an issue to reduce homelessness. The mayor is impressed that the parties have done their homework and have checked city’s website for how money is being allocated. He then assigns a member of his administration to address the concerns and follow up. The mayor’s next stop of the day reveals his combative relationship with the city council. It’s the Alethia House ribbon-cutting ceremony for the Tuxedo Park Apartments—and not one council member is present. The mayor notices. 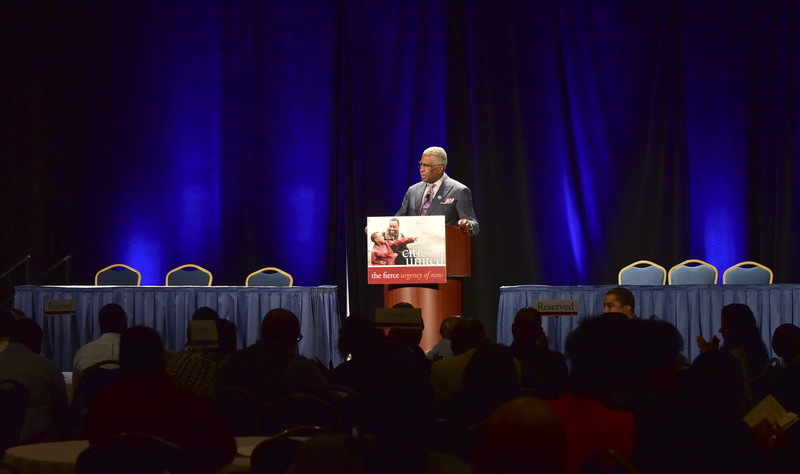 Keeping with his theme of neighborhood revitalization, his speech focuses not on the council but on what his administration is doing for residents. Afterward, the mayor notes that no one from the council has attended. The relationship between the two branches of the city’s government has been antagonistic and shows no signs of improving. 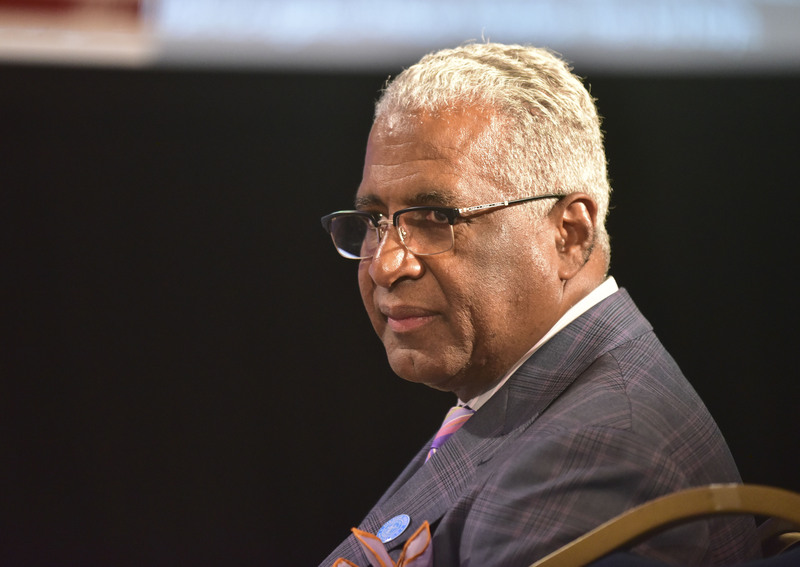 Bell, who will turn 67 on June 1, began his first full four-year term as mayor in 2013. He won in a special election in late-2009 to replace former Mayor Larry Langford following Langford’s federal conviction. Then he won a shortened two-year term in 2011 that was abbreviated to align with the mayor and council elections. Bell does not deny that he was instrumental in getting lawmakers to make changes to the Mayor-Council Act to give him more authority. The day is winding down. 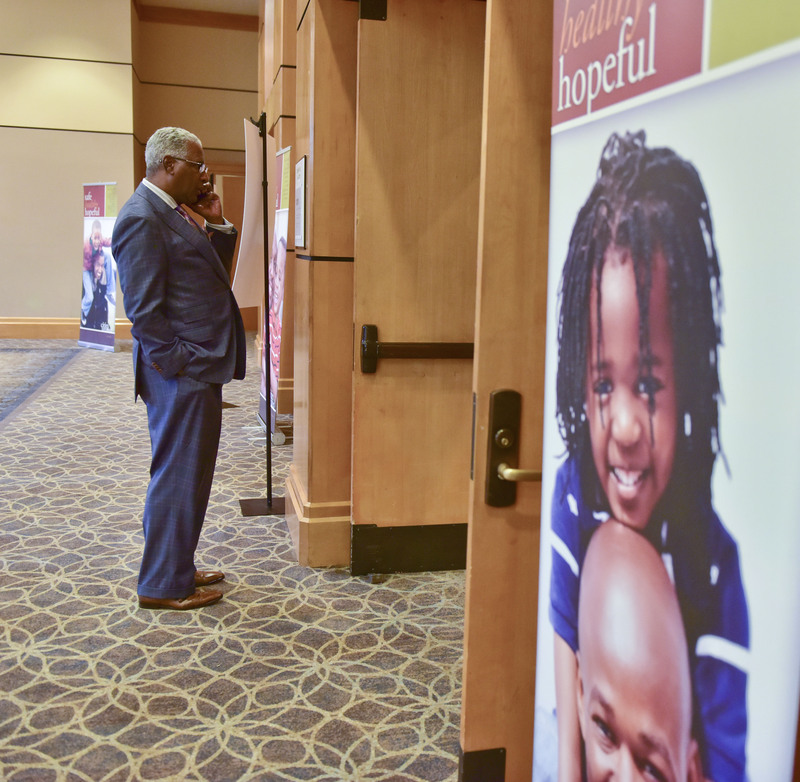 The mayor is about to go behind closed doors again, but he takes a few moments to discuss his role as a black mayor in a city with a population that is nearly 75 percent African-American. His most vocal detractors are black people, and he is especially sensitive to the criticism because he grew up in Titusville. “That’s where my roots are,” he said. “I grew up in an African-American community that had professionals like doctors and teachers, as well as janitors and bus drivers, so I understand the struggles of predominantly black neighborhoods. The conversation then turns to his family. Bell is married to the former Sharon Carson and has two children, William Jr. and Jillian, both graduates of Ramsay High School and the University of Alabama. For the first time all day, the mayor becomes emotional. He’s talking about his mother Luvenia Little, who died earlier this year at age 91, and his son William A. 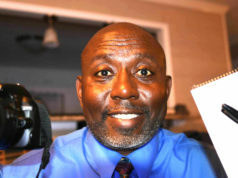 “Tony” Bell Jr., who won the Democratic nomination for a district court judgeship in the March 1 primary. “My mom was an inspiration for me from a standpoint of keeping me grounded and letting me know that I am still that little nappy-headed boy that came out of Titusville, that she and my dad gave me an opportunity through education to rise above and beyond where they had been,” the mayor said. “Since my son threw his hat into the ring to be a judge—he’s already a municipal judge in Irondale—and won the Democratic primary [with 75 percent of the vote], he thinks he’s the big politician in the family now,” Bell said. Bell said he has no real hobbies or activities in his spare time. “My favorite thing to do is spend time with my grandsons (ages 5 and 1 ½). They are my motivation to keep going and always try harder,” the mayor said. The day comes to a close, but not really. The day never really ends for the mayor of Alabama’s largest city. Bell is alerted about an emergency at the Salvation Army in the 1400 block of Fred Shuttlesworth Drive. The building has been evacuated after a loaded gun and suspicious device were found in the pockets of a coat in the donation box. In minutes, the mayor is on the scene. He speaks privately with Police Lt. Sean Edwards, a Birmingham police spokesman, and then makes brief remarks to the media. As quickly as the mayor arrived, as the reddened sun begins a slow fade, he hops back into his black Chevrolet Suburban and is gone.